Microsoft has pushed out a new firmware update for its Surface tablets that improves how the devices work with Windows 10. The one common change across all of the devices affected is an update to the tablets' integrated Intel HD graphics processing unit that should improve graphics performance and stability on Microsoft's new operating system. Surface Pro 3 users also received driver updates to improve system power usage and the experience of using Cortana on Windows 10. Microsoft also fixed a bug with the Surface Pro 2 that would cause the tablet to wake from sleep by itself. IT managers will likely appreciate some features added to the Surface 3 with the update, such as one that lets them display and add a system asset tag to a device so as to make it easier to track the tablets. 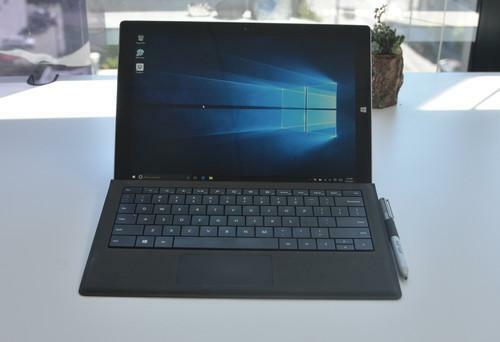 While not listed among Microsoft's official release notes for the firmware updates, they also appear to fix an issue with Windows 10 that prevented Surface Pro tablet owners from receiving firmware updates while running pre-release builds. Fixing that ahead of the operating system's launch on Wednesday is key to making sure that devices already running Windows 10 also have the latest firmware updates. The update now appears to be going out smoothly after many users reported problems installing it when it first arrived on Friday. According to a tweet by Microsoft Engineering Manager Gabe Aul, the problems were caused by a bug affecting the package management and installation process that the company fixed on Saturday. The newly-released version of the Surface 3 that features an LTE modem received a set of updates on Saturday that also went out to users on Windows 8.1. That update is primarily focused on improving the device's connectivity with mobile broadband networks, but also includes a driver for delivering future patches to the Surface 3 LTE. All of the new updates come just days before Microsoft will begin rolling out its new operating system to consumers. Windows 10 will launch on July 29, with users around the world getting access to the update in "waves" following its initial release to members of the Windows Insider Program.